ONE OF WORLD’s LARGEST SOCIAL ENTREPRENEURSHIP PROJECTS EVER!!! Today Bulgaria celebrates the immortal gift the Bulgarian King Boris I, the two brothers Cyrill and Methodius and their student Kliment and a number of great others gave to the Bulgarians and to the world – the Cyrillic Alphabet. This is a gift from Bulgaria to the world which worths to be celebrated. Many of the holidays in our current calendars are the days of war victories which involves victims and death! The day today is the day Bulgaria gave innovation, diversity and one more way of expression to the world! It is hard to compare their deeds to any contemporary endeavour. We live in times when there are United Nations, Apple, Google, Microsoft, Amazon… we admire Elon Musk, Steve Jobs, Sergey Brin… who change the world while making billions in their bank accounts… but back then in the 9th century there was a king who invested most of his and Bulgaria’s treasury in creating and adopting a new alphabet called „Glagolitza“ and further working on it until creating the Cyrillic alphabet which we all know now before giving it to the world. How many of the current „amazing“ project shall live their life up to the challenge of time. How many shall stay unchanged for 12 centuries and shall be used by hundreds of millions of people every day, every hour, every second??!? Bulgaria gave the world an example of eternal wisdom, love and innovation. Our predecessors gave to millions of people in the world the opportunity to express themselves, to create and to share. 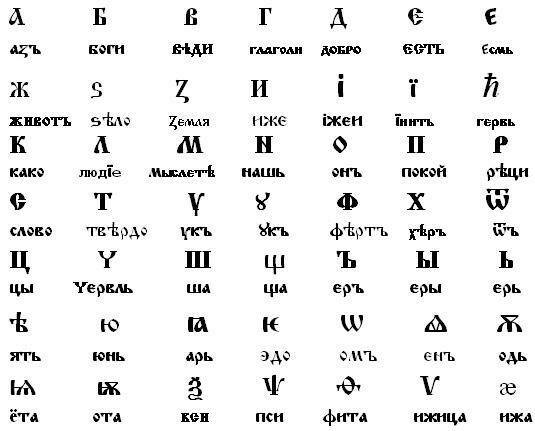 The BULGARIAN ALPHABET in order to become CYRILLIC ALPHABET and to seed around the world first had to change the world’s Status QUO. Back in 9th century there were only 3 alphabets official (allowed) which were accepted by the Church and the society to be used to share God’s words: Latin, Greek and Judish. The two brothers Cyrill (Kiril) and Methodius (Metody) fought and proved the right of our country to have another one – the New Alphabet to express the God’s Words from the sacred books. Further to that King Boris I for only 7 years invested in education of 20’000 Bulgarians who were excluded from the military and the economical life of the country to be educated into reading and writing. At that time the books were written on lamb skins. The technology used back then made possible 1 lamb skin to make 3-4 pages. As the Orthodox Christianity is the only which uses books in the rituals and we are talking about over 22 different books – King Boris I had to invest in printing (hand writing) of more than 100 000 – 150 000 books, which by simple math brings to over 20 000 000 (20 million) lambs skins and almost whole wealth of the state in order to bring the light of knowledge and brightness of education to the people of Bulgaria and further to hundreds of millions around the world. Today we celebrate an amazing day of innovation, creativity and entrepreneurship of a country leader who made a change which nowadays makes our world a more beautiful, more educated and better place. A social endeavour which already lasts for 12 centuries and hopefully shall last ahead in time. We celebrate the CYRILLIC ALPHABET! ← Върви, народе възродени! Честит празник, българи!